The Rupashree Prakalpa Alipurduar, Is Holding A Selection Examination For The Post Of Accountant And Data Entry Operators. So Interested Can Apply For This Job Through Online Mode, Within The Given Time Period. 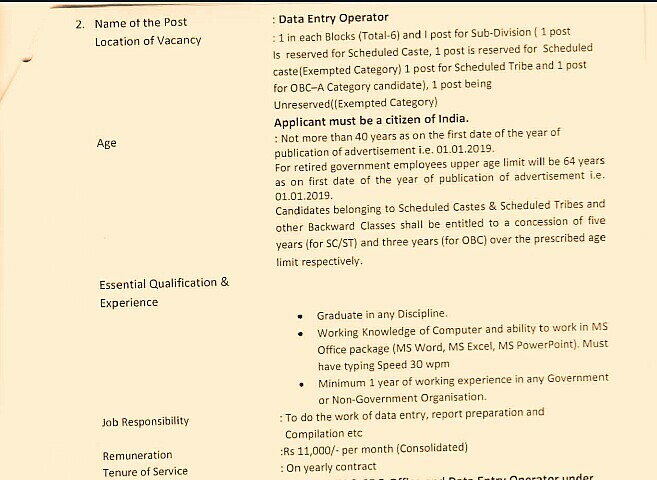 Accountant And Data Entry Operators →09 Online Vacancies, Kindly Do Check Out The Image's Below For Vacancies Distribution, Age Limit, Educational Qualifications, Remuneration And More. (Credit- EMPLOYMENT NOTIFICATION NO. 957-SW/O/RP-02/2019, Date: 15/02/2019). B. Eligible Criteria For Accountant And Data Entry Operators Jobs In Alipurduar. Age Limit →Check Out The Image's. Mode Of Examination/Selection Process →Written Exam/Computer Test/Interview. Last Date For Online Application Form Submission →1st Of April, 2019. 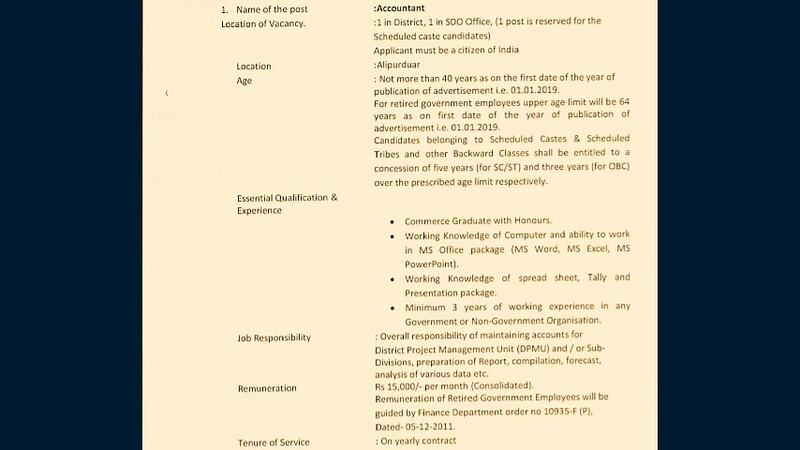 For More Info →The Official Website Alipurduar Government. .
Now Apply For This Job Of Alipurduar Rupashree Prakalpa Recruitment 2019.